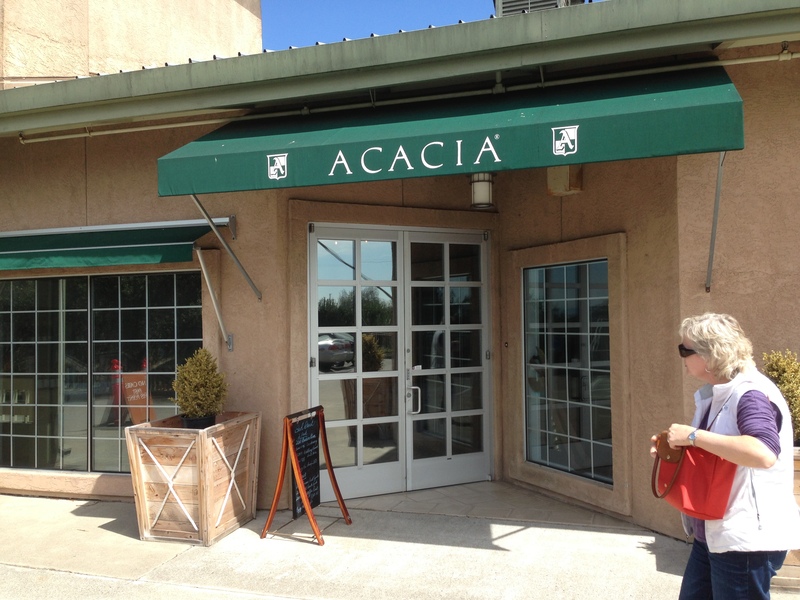 Just outside of the city of Napa, not far from The Inn On First, Napa’s luxury Bed and Breakfast Inn, is Acacia Winery. 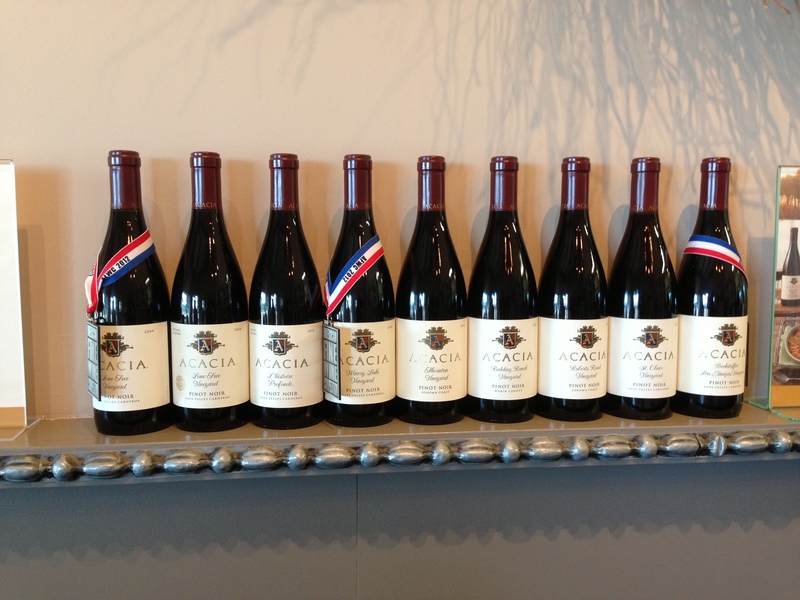 My friend Donna Kaz was in town from NYC and wanted to some Pinot Noir tasting and Acacia Vineyards was on the top of my list. I’ll say it right now, if you love Pinot Noir this is the place for you. I was familiar with Acacia Pinot Noir that you find in the store, but found out that is a blend. 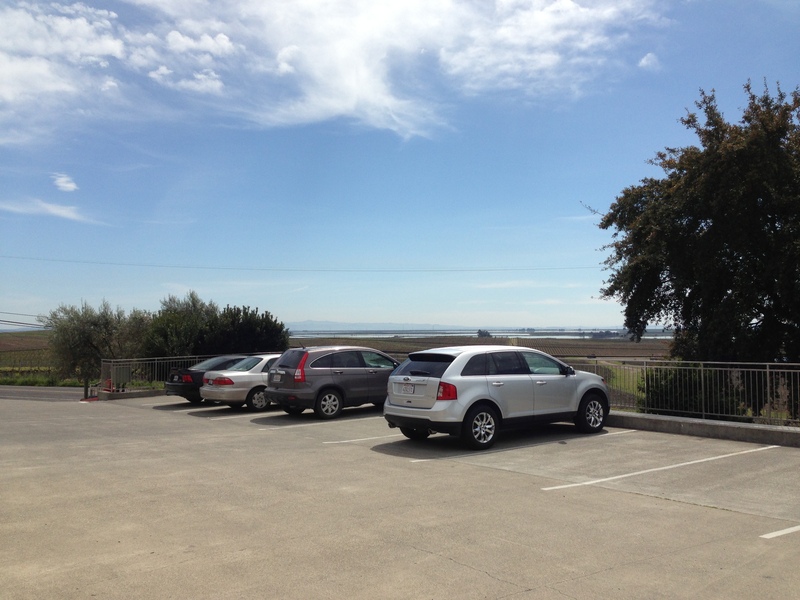 What they offer in the tasting room is a selection of Pinot from out of their 11 (yes, eleven!) single vineyard Pinot Noirs. Yes, they have Chardonnay, but unfortunately I cannot report on that as I wanted my palate to be Pinot discerning with nothing else in the way. I was not disappointed. We began with the Thornton Vineyard Pinot from the Sonoma Coast. Dark fruit aromas and yet light cherry notes on the tongue. We moved to the Redding Ranch Pinot from West Marin/Rancho Nicasio. Beautiful fruit tones that I think set it one step above the Thornton. The Orogeny was next with a really big nose and enjoyable dark cherry fruit flavors. We both fell in love with this one. We moved onto the Lone Tree Pinot, and that was just as lovely as the Orogeny and yet slightly different. Okay, so this is when I can taste and smell nuances, but they become more difficult to describe. Trust me, it was lovely. The Winery Lake Pinot was next in line, chewier than all the others on the palate with fuller fruit flavors. I’ve never done such a broad cross-tasting of one grape varietal, but they do it right here. Suddenly I am more Pinot Noir discerning, although no expert by any means. Now I want to do more single varietal tasting in a single day as I learned so much. Acacia wines list from $28 to $79. Appointments are required, so call ahead and make your plan to go and meet with their very entertaining and engaging staff: the Queen of Conviviality (Margaret) The Prince of Pinot (Mike). This entry was posted in Pinot Noir, Wine by Innkeeper Jim. Bookmark the permalink.